utterances between my friends and I. Excuses of why-not to workout come in all shapes, sizes and extremes. Believe me, this winter, I have attempted to validate my sedentary lifestyle in order to avoid the hardships of physical exertion in the most creative and far-fetched of ways. As the cold winter weather looms over Chicago, I try to remind myself that sometimes, even the most basic of exercises can lead to big results. One such exercise is the infamous push-up. Push-ups vary in types and levels of complexity to those who complete them. They are an extremely advantageous exercise for adults and children alike. facilitate the gross motor skills we work on in therapy. Extracurricular activities are a great way for your child to socialize with his or her peers and physical activities are the perfect way to make sure your child is getting sufficient exercise each day. I strongly recommend any activity that your child is interested in because the best results occur when your child is invested in what he or she is doing. Gymnastics– This is a great activity for a variety of reasons. For example, gymnastics focuses greatly on a variety of gross motor skills, such as balance and jumping in a variety of different positions and on a variety of different surfaces. This helps your child generalize these skills so he/she will perform better in our constantly changing environment. Gymnastics also helps with core, arm and leg strengthening and works on coordination between different body parts. Swimming– Swimming is another great activity that targets core and arm and leg strengthening. Along with strengthening, swimming is helpful for working on your child’s bilateral coordination. A majority of swimming strokes require different movements from the arms and legs simultaneously as well as at different times. Regardless of what recreational activity your child chooses to participate in, they all are positive for your child’s physical and social development. On the other hand, if you have concerns about your child’s physical functioning, please contact a physical therapist at North Shore Pediatric Therapy. effects on kids, in both the short and the long-term. Hop 2 Health has been developed following the model that research shows to be the most effective treatment for childhood obesity. It is multi-disciplinary, which means your child will work with a registered dietitian, physical therapist and social worker to address and improve all factors that are part of this complicated issue. It is family-based, which means you, as a parent, will be informed and involved in your child’s journey to health since you are so instrumental in their success outside of the program. It is an on-going program that involves weekly group sessions where your child can engage with and lean on other kids that are struggling with the same issues. The learning experiences through which your child will gain information about making healthy choices for life are fun, engaging and totally geared towards kids. 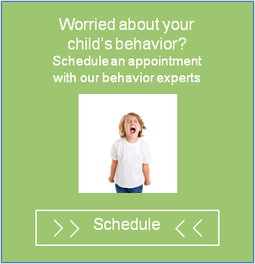 Your child will also receive individualized care through periodic one-on-one visits with our team of experts. All of these key components of the program will give your child one of the best opportunities to make real changes to their life. Our mission is to provide a positive atmosphere, where kids will be given the tools and learn strategies to become healthier, and more importantly, build self-esteem to know that they can do it. For more information about Hop 2 Health, please go to this link on our website: www.Hop2Health.com. Here, you can register for the program that will be starting soon. Space is limited. As a parent, your child’s health and well-being is your number-one priority. Register now and start 2013 knowing that your child is on the path to better health. You can also call 877-486-4140 to speak with one of our Family Child Advocates for additional information about Hop 2 Health. We are offering free screens to help determine if your child may benefit from participating in Hop 2 Health. Contact 877-486-4140 to set up a free screen.